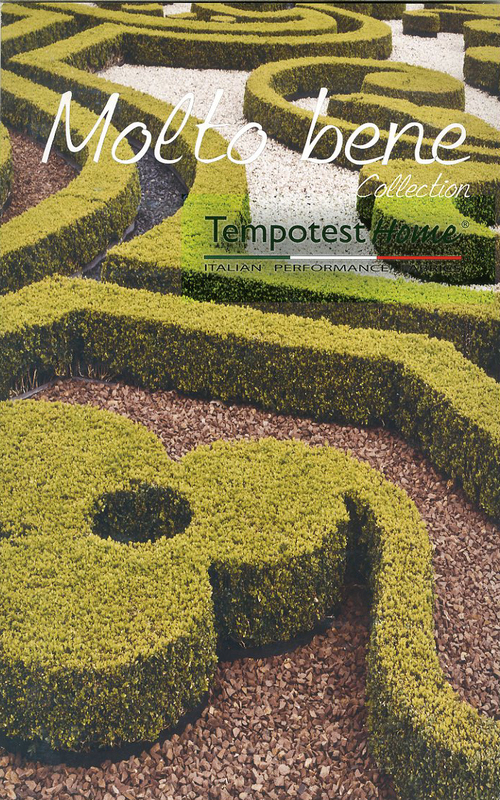 Tempotest Home is the fabric collection that meets your outodoor lifestyle. Designed for gardern terrace and pool, combines the resistance and performance of solution dyed fabric with style and colour, with a collection offering more than 400 patterns featuring elegance and originality. Thanks to the innovative finishing Teflon Extreme by Para all Tempotest Home fabrics are water/oil repellent, resistant to mould, stains, salt and U.V. fading, even though they are soft and pleasant to touch like natural-fibre fabrics. Tempotest Home is guaranteed 6 years agains loss of colour and tenacity due to normal weather conditions.